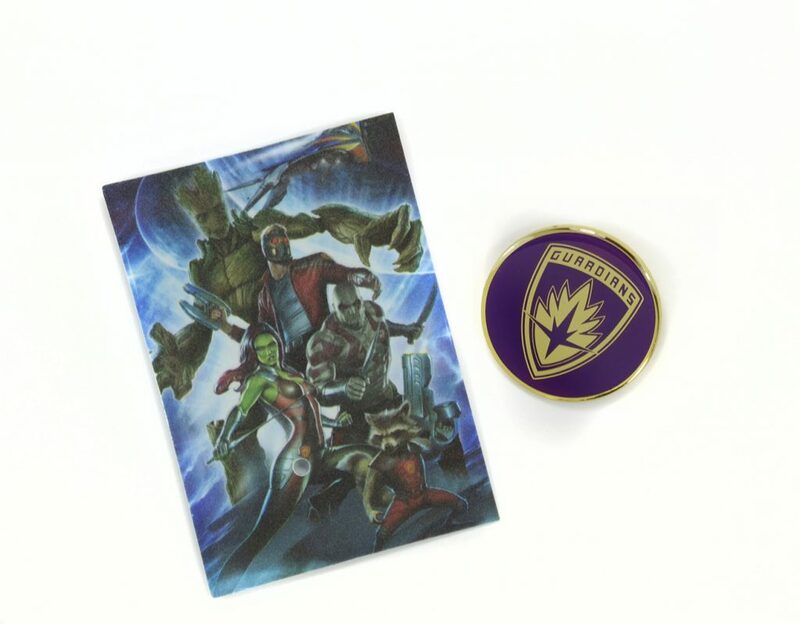 Fans can show off their favorite heroes at an impulse-friendly price point with NECA’s limited edition pin/card sets! 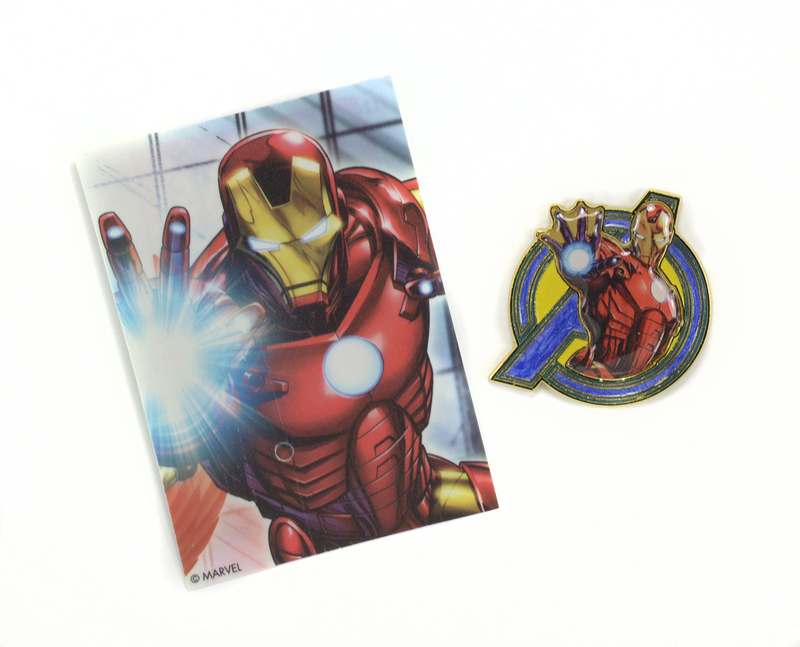 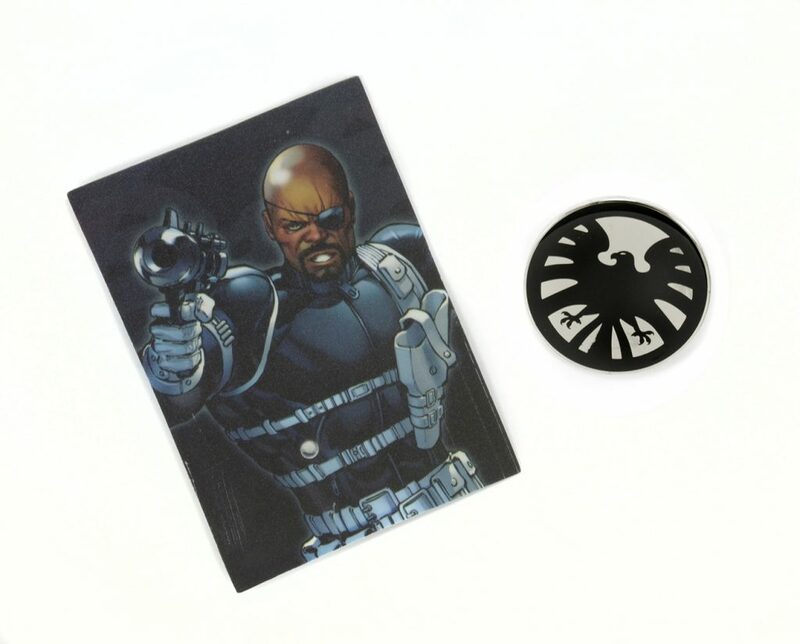 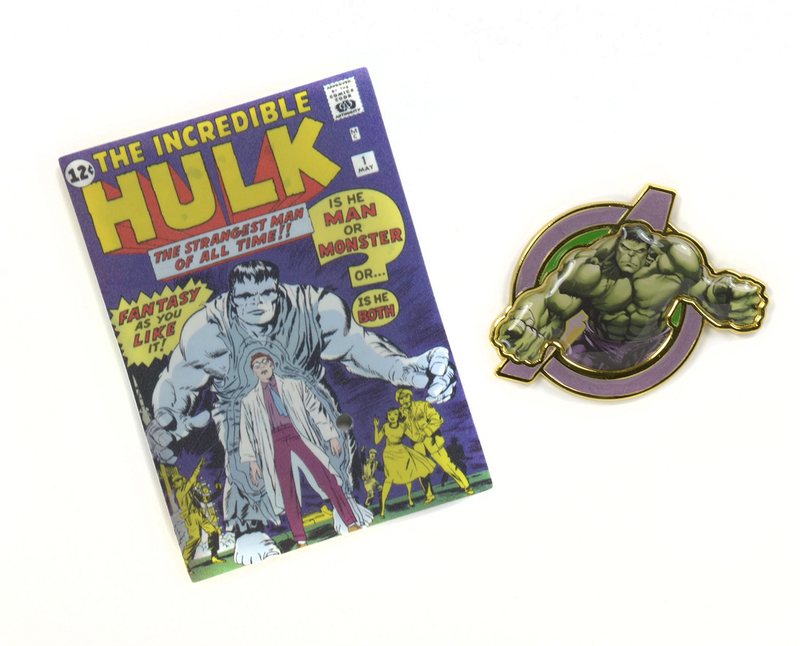 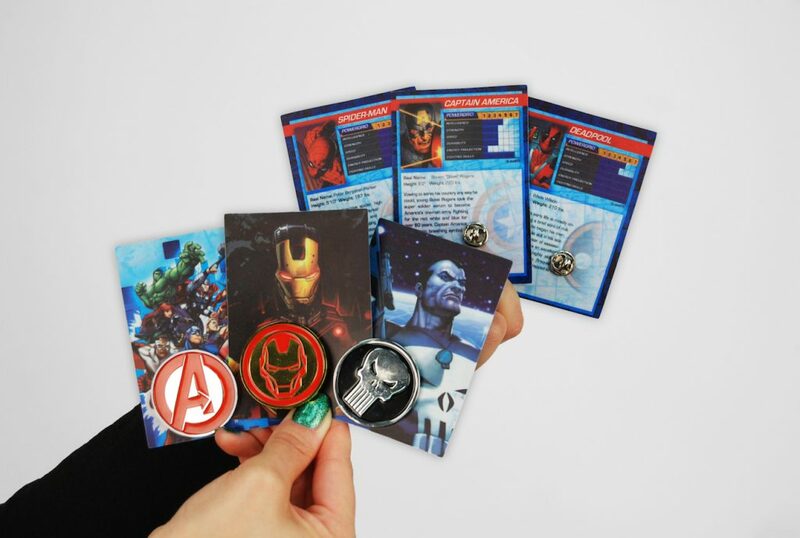 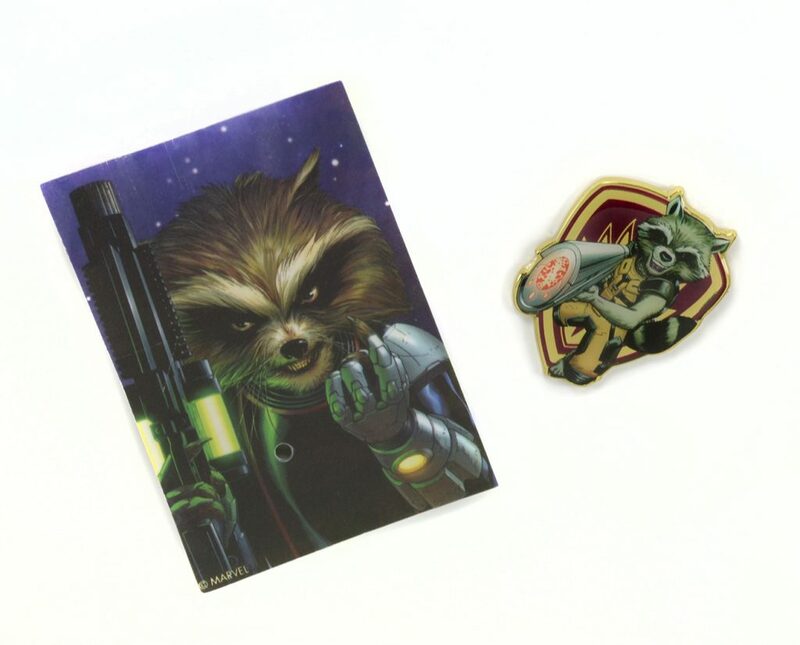 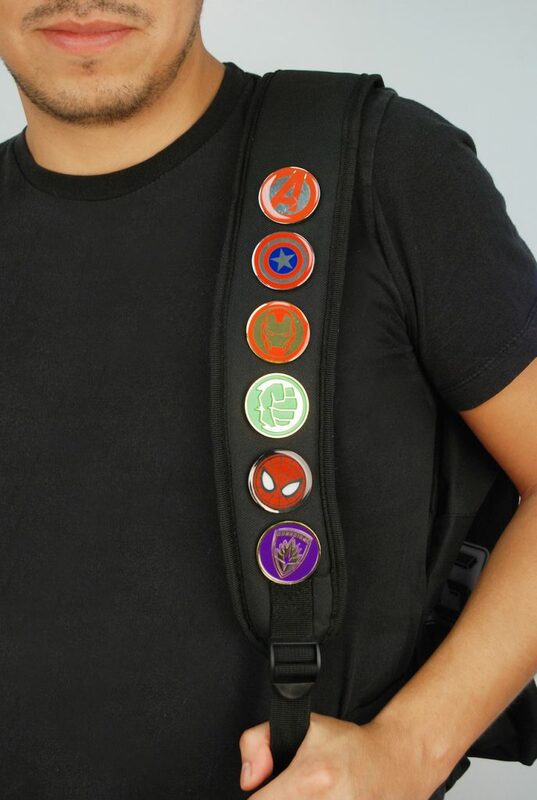 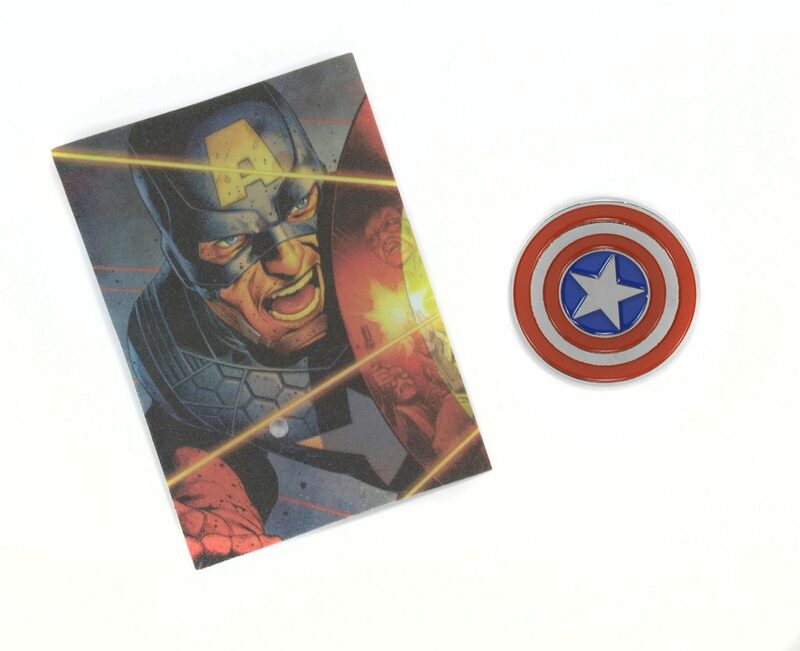 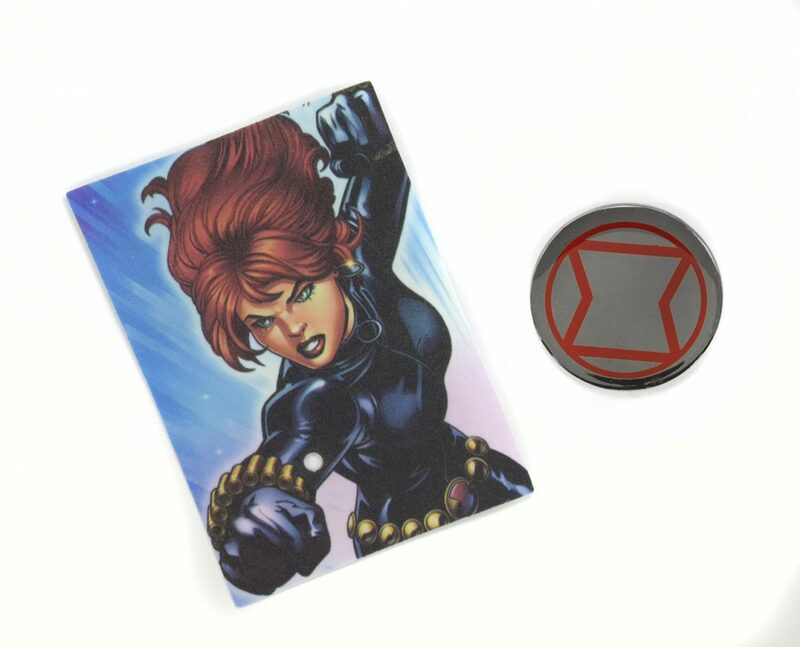 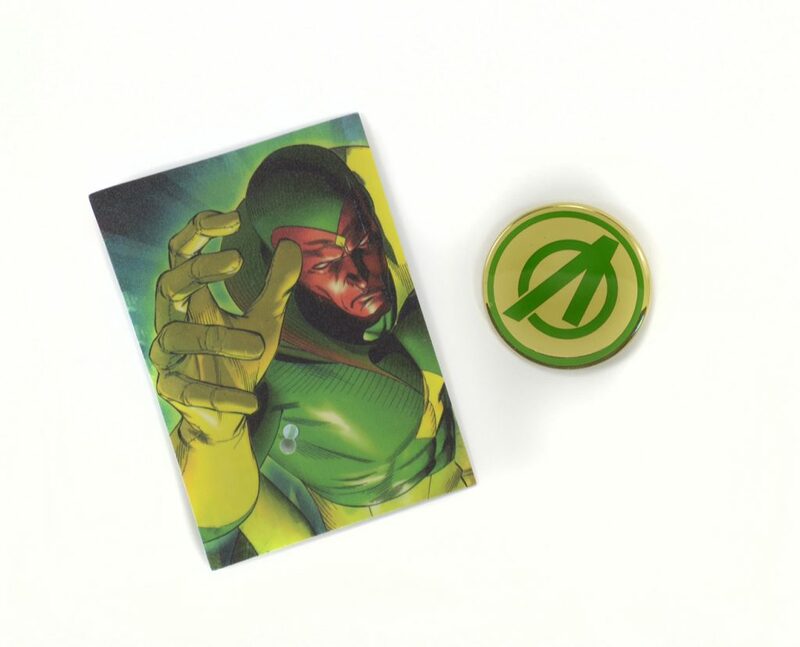 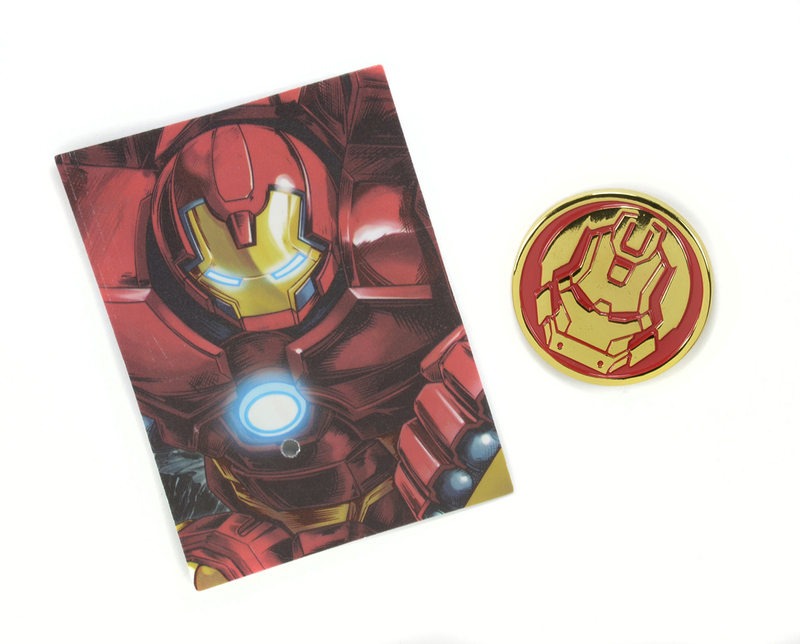 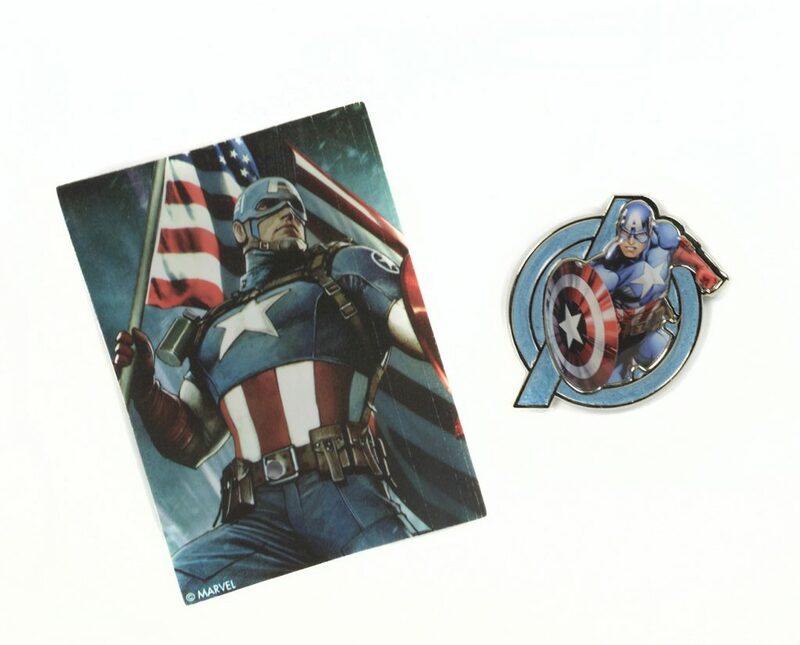 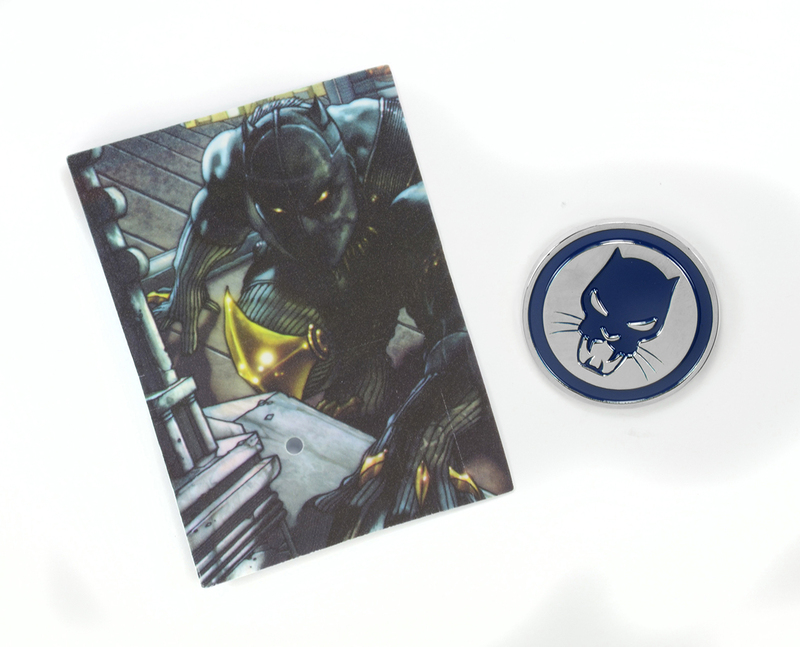 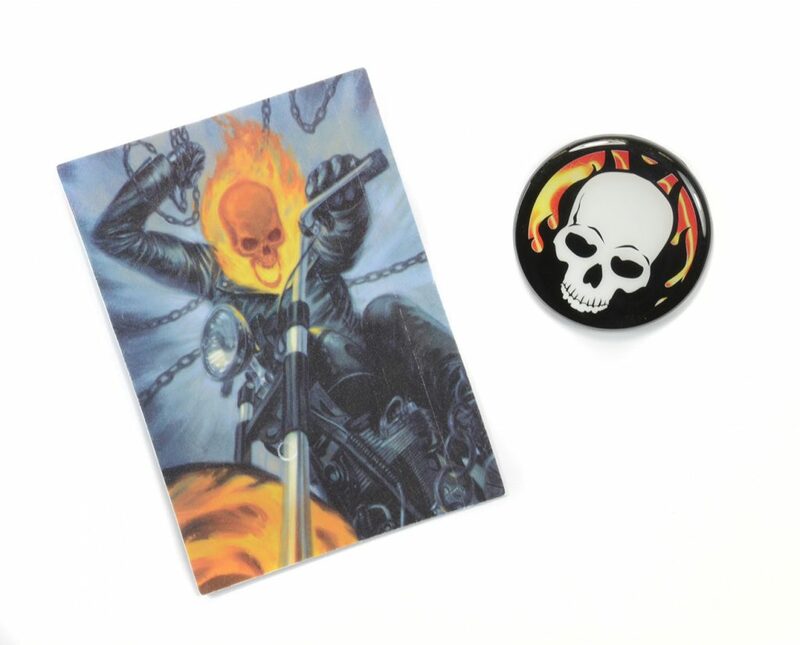 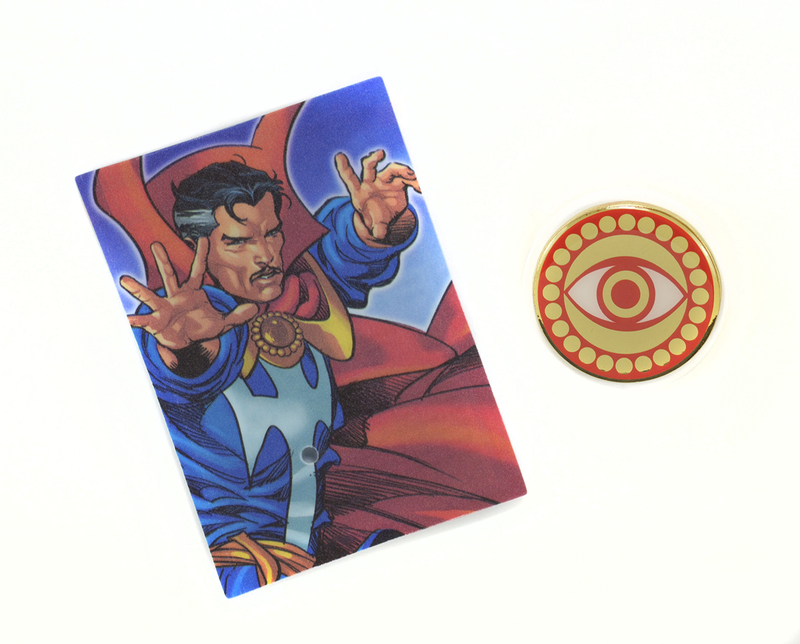 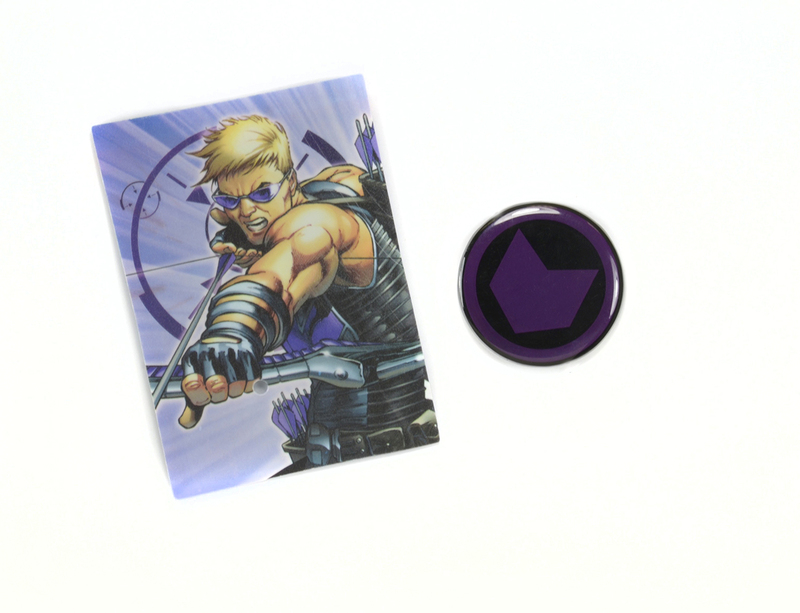 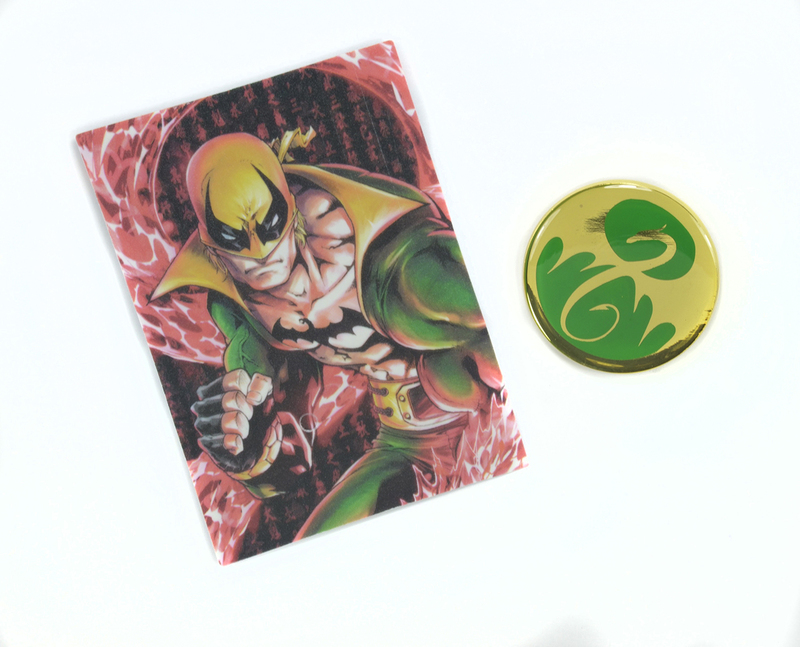 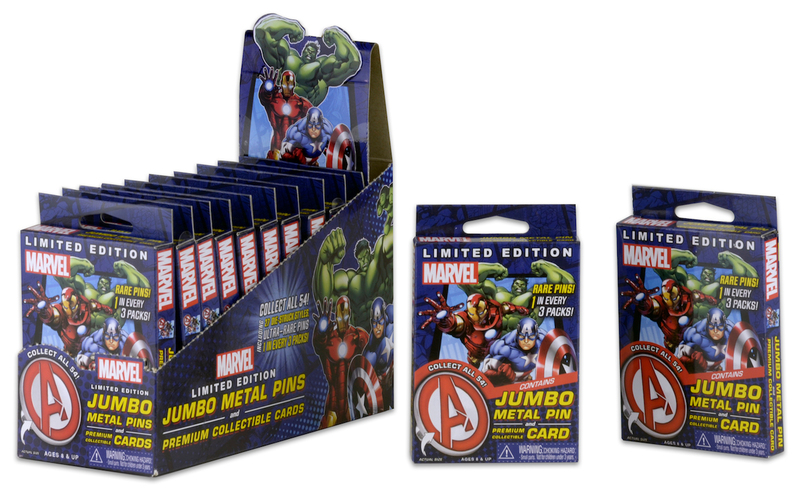 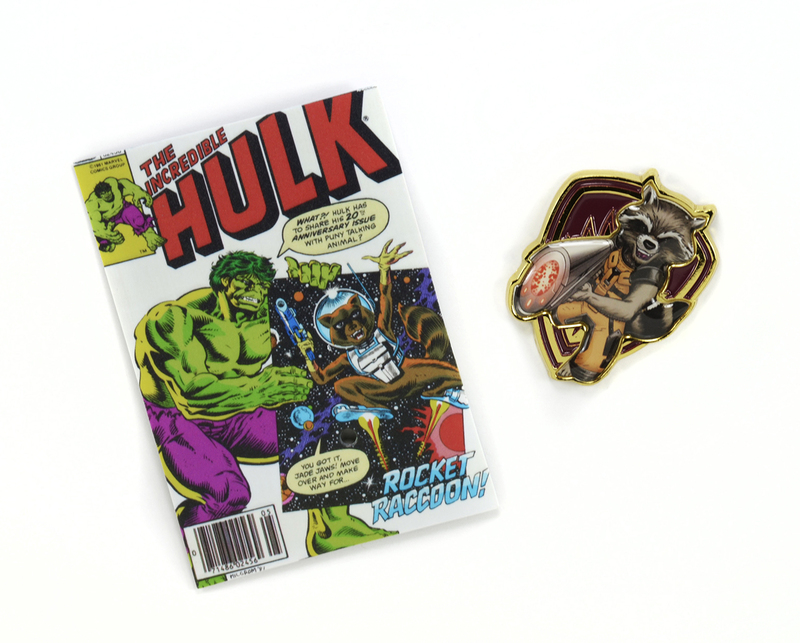 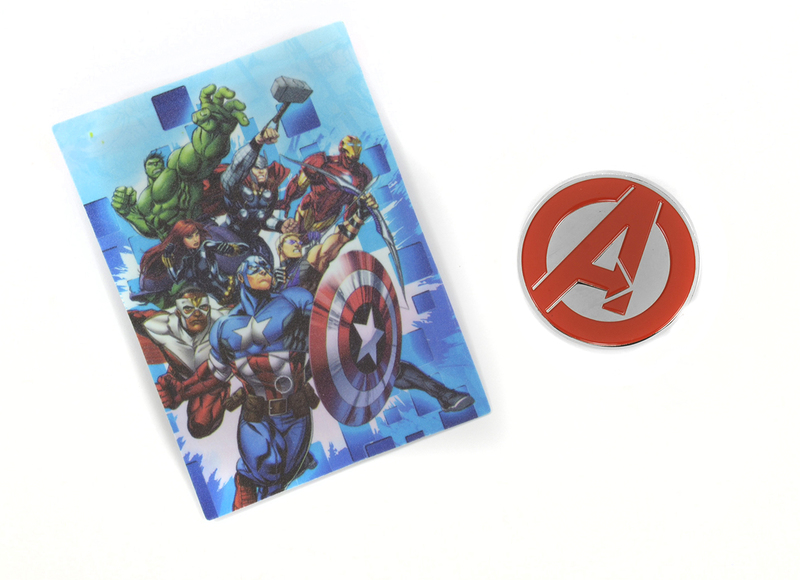 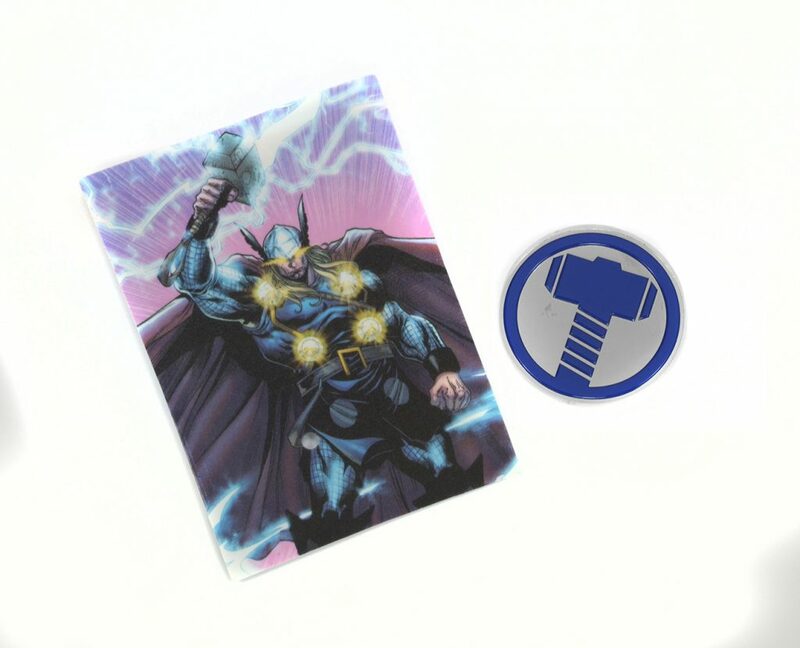 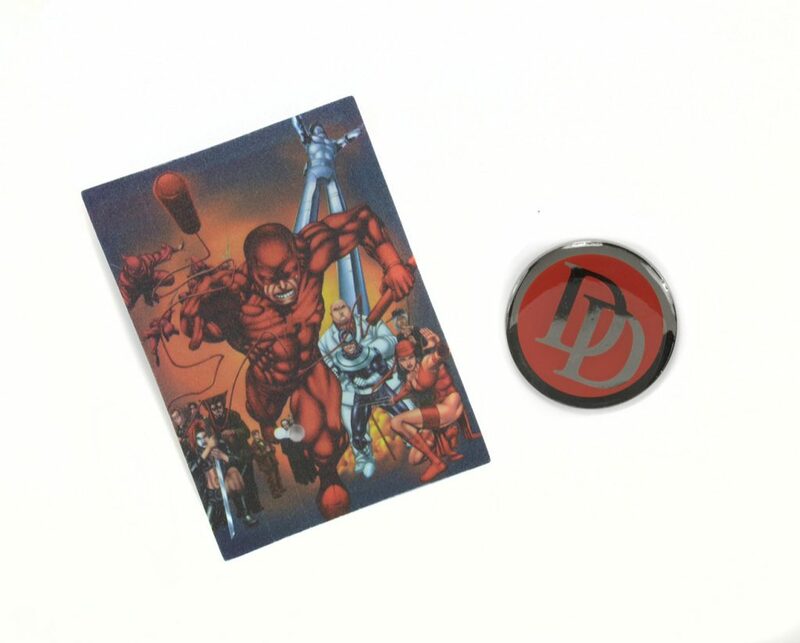 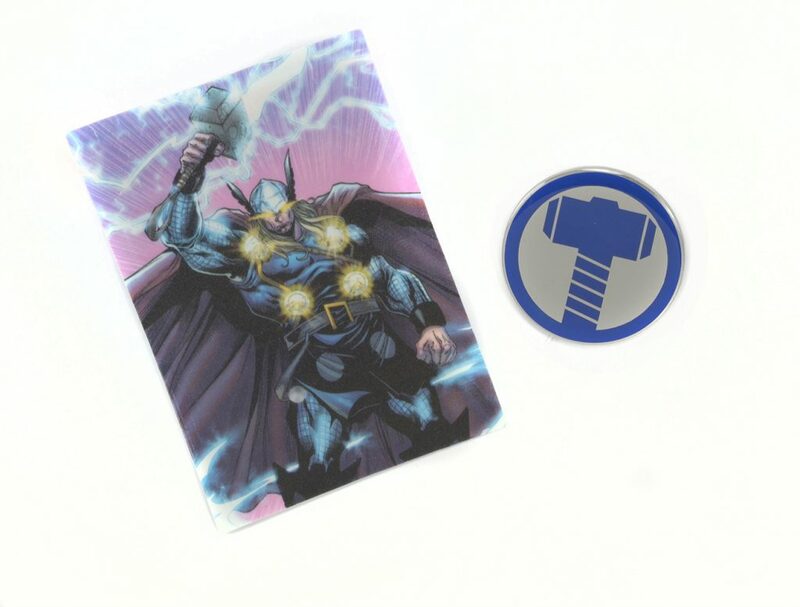 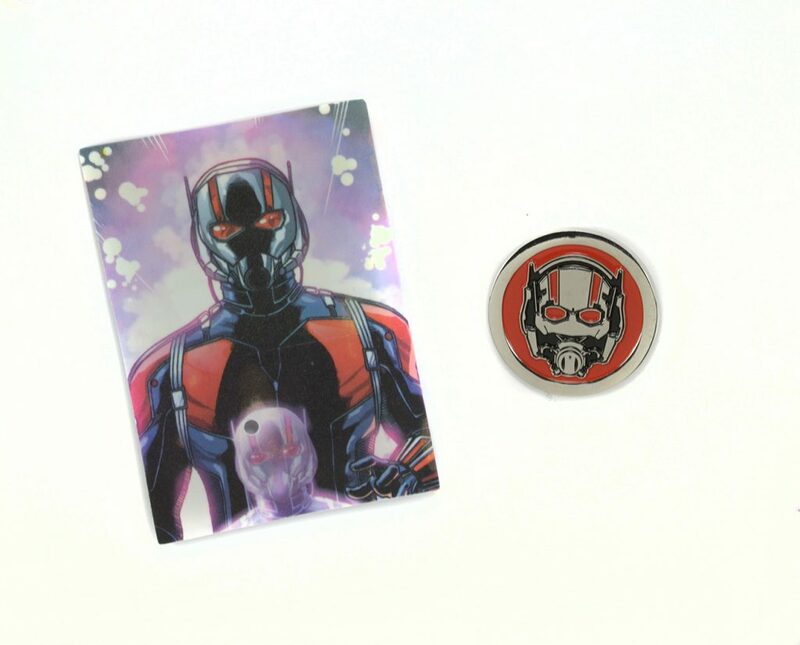 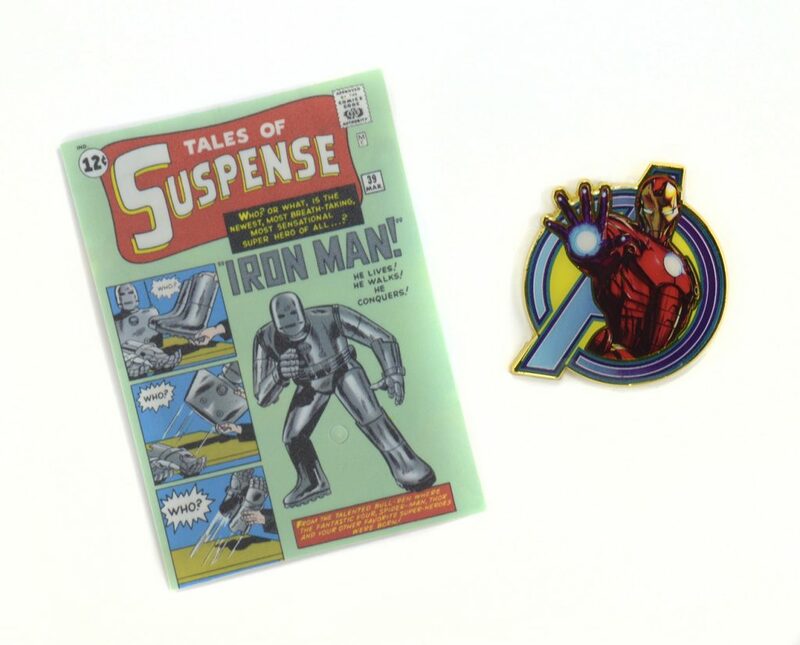 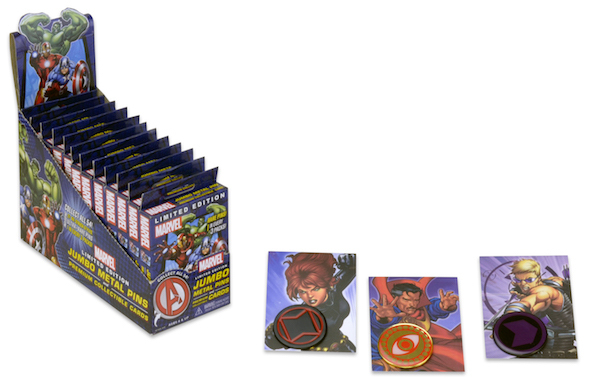 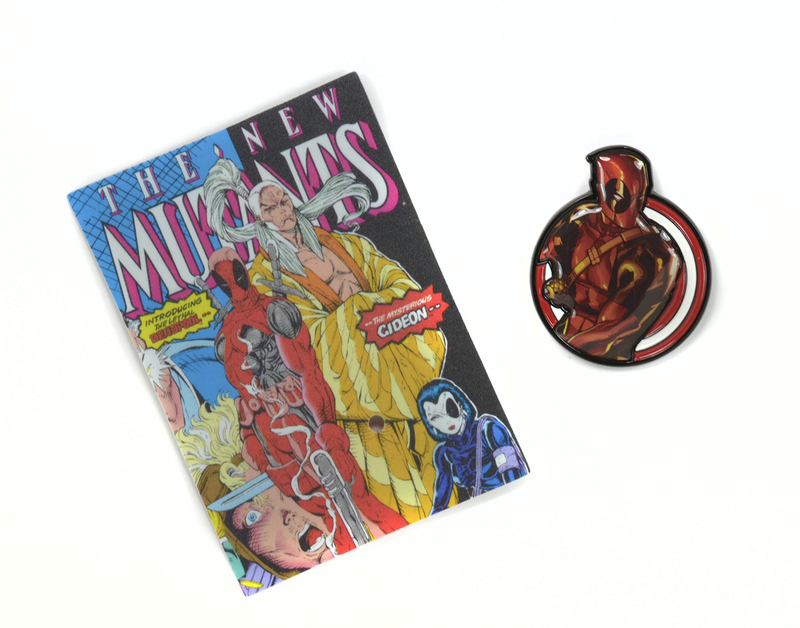 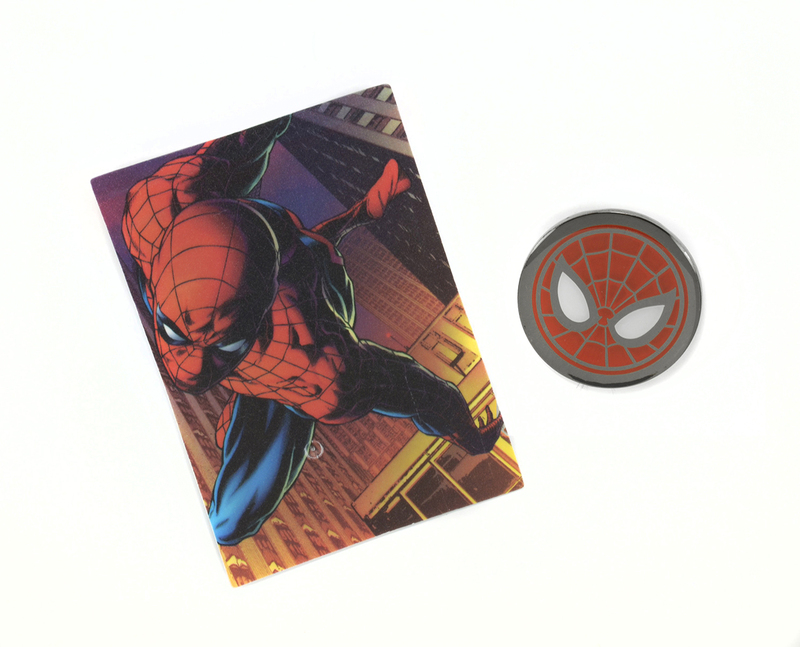 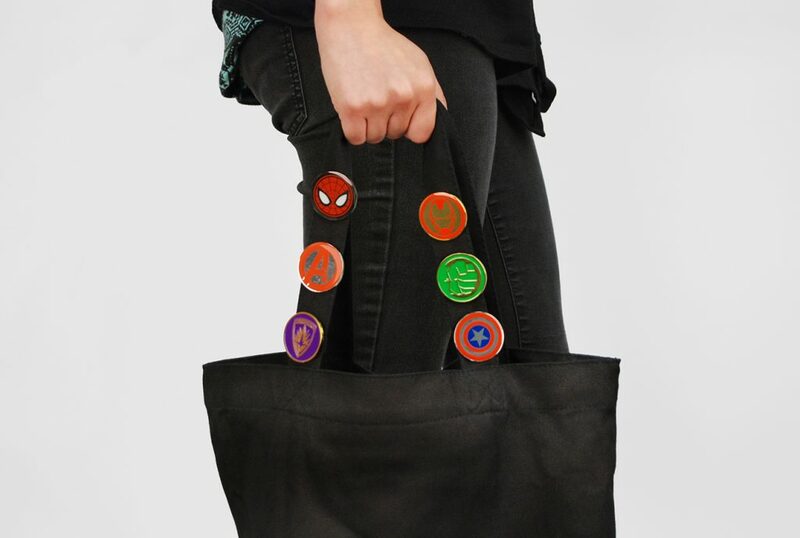 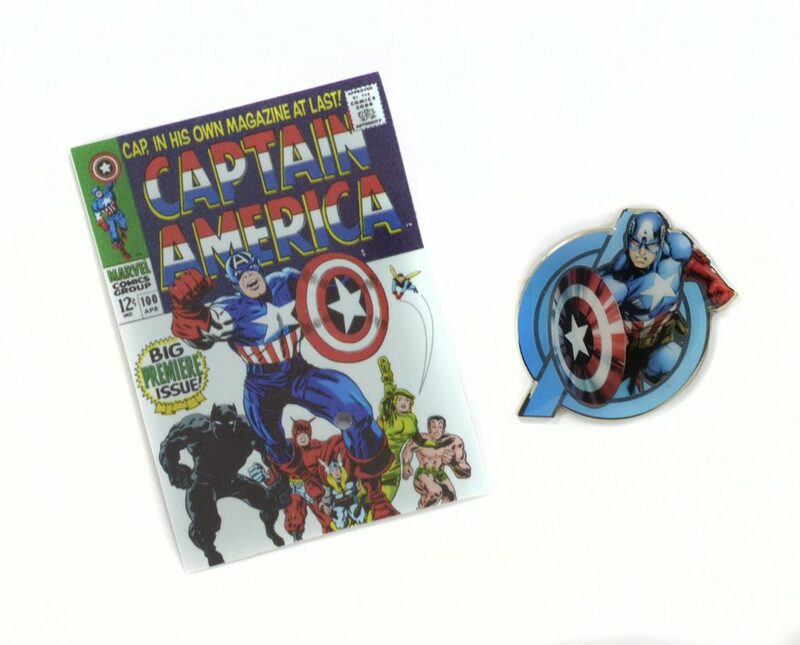 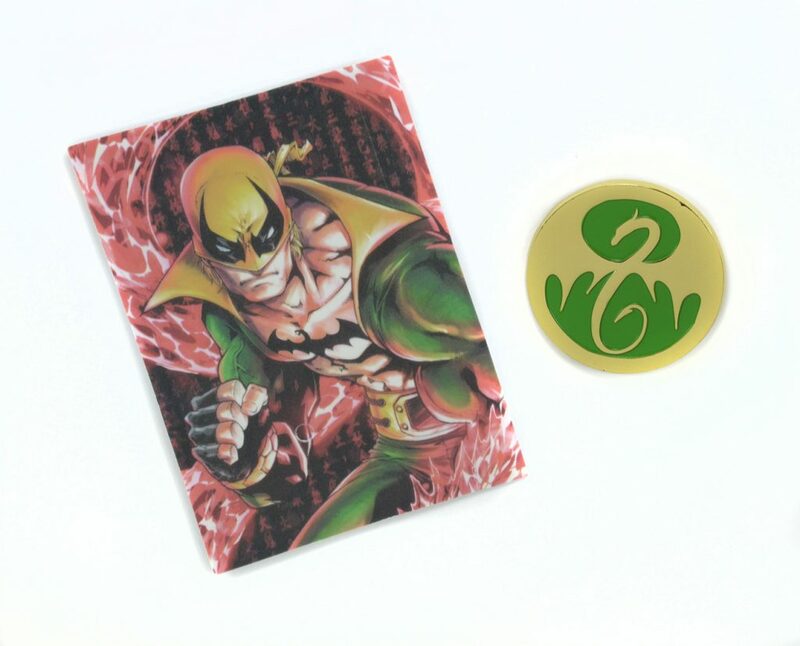 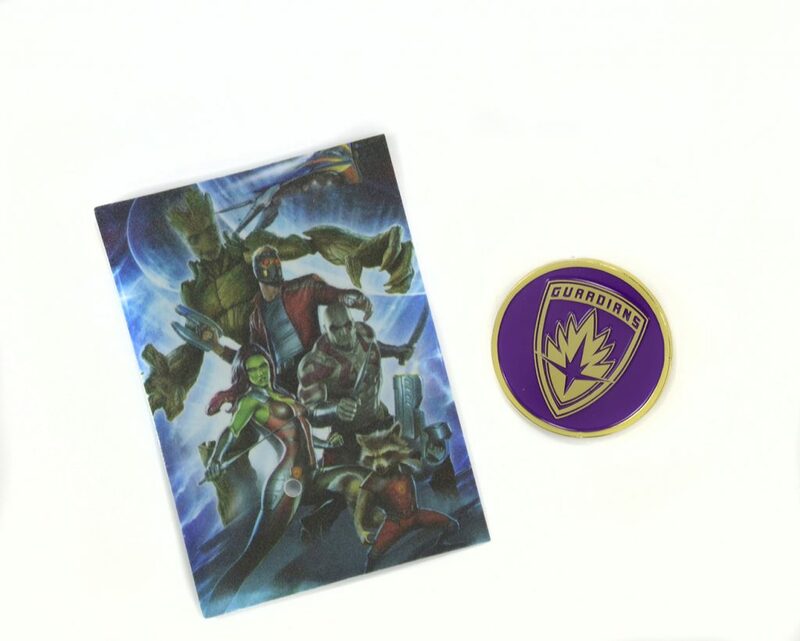 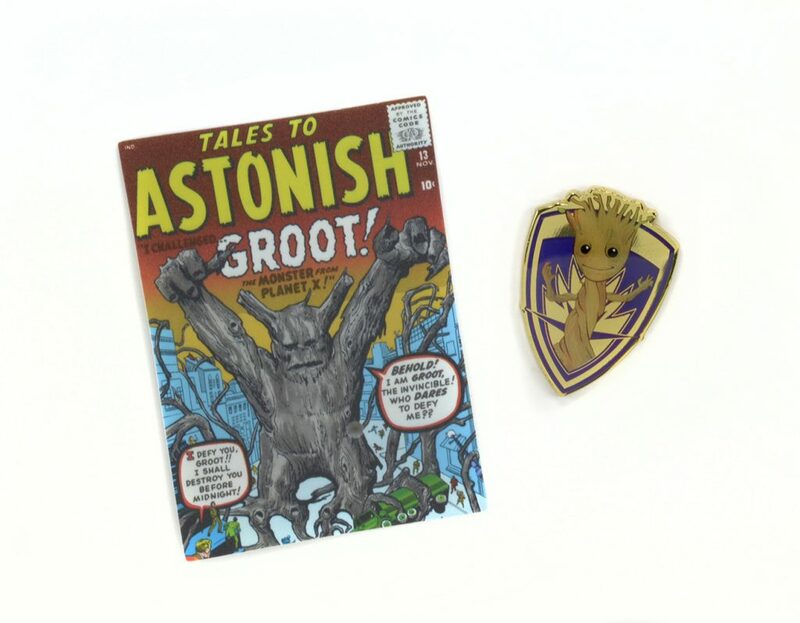 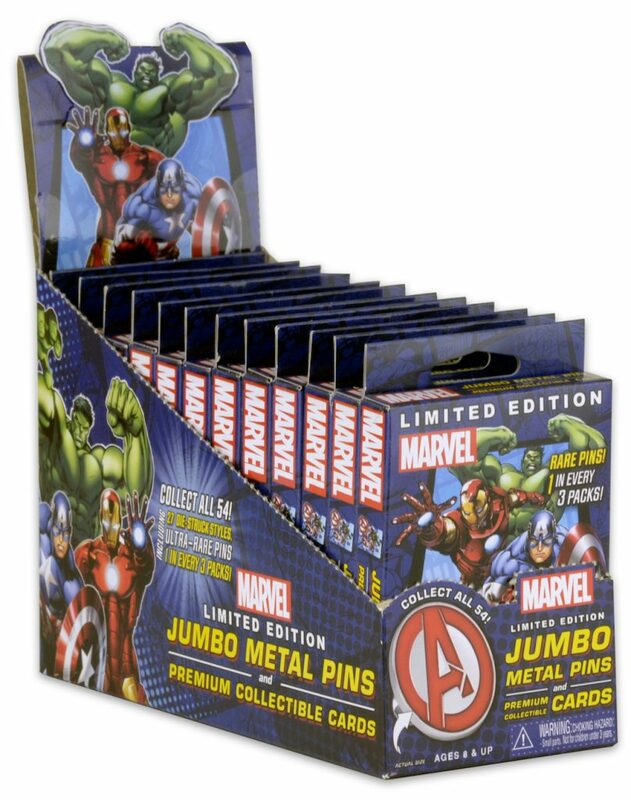 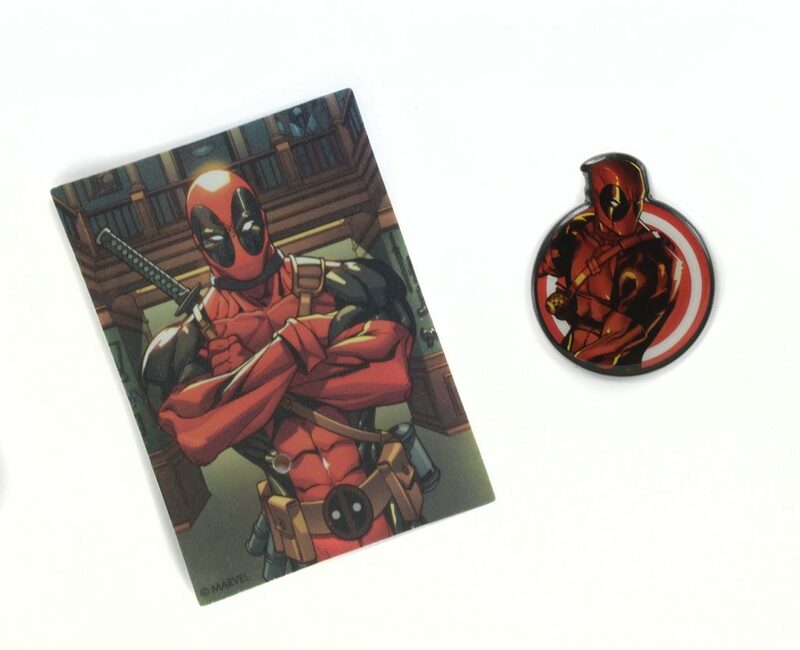 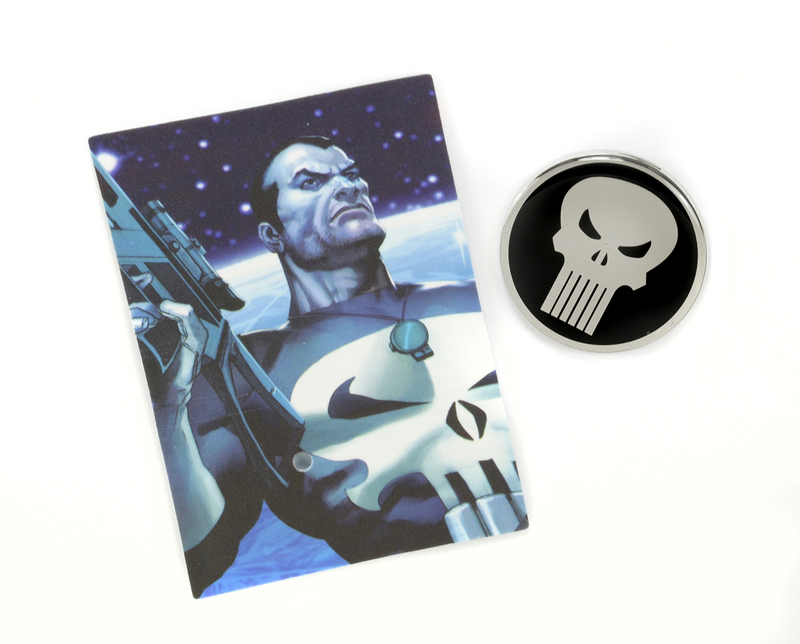 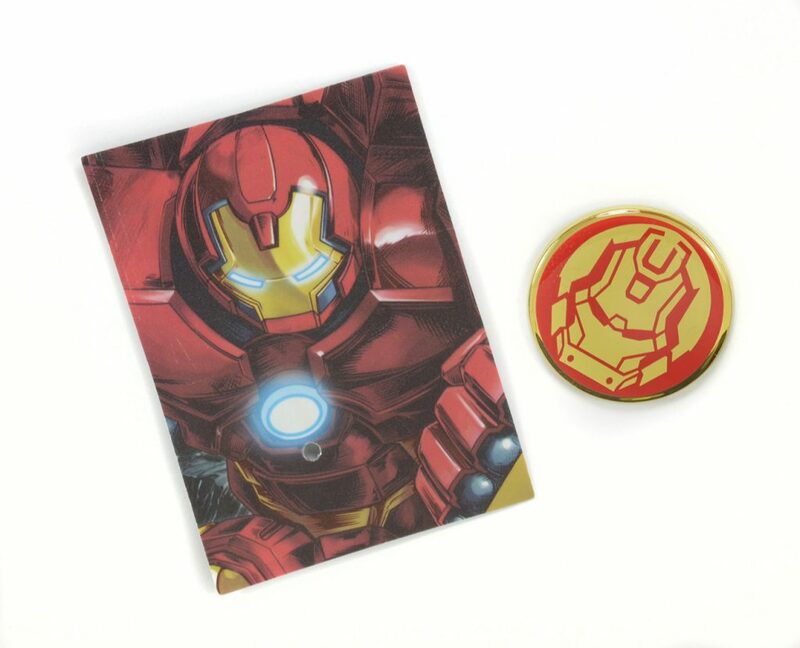 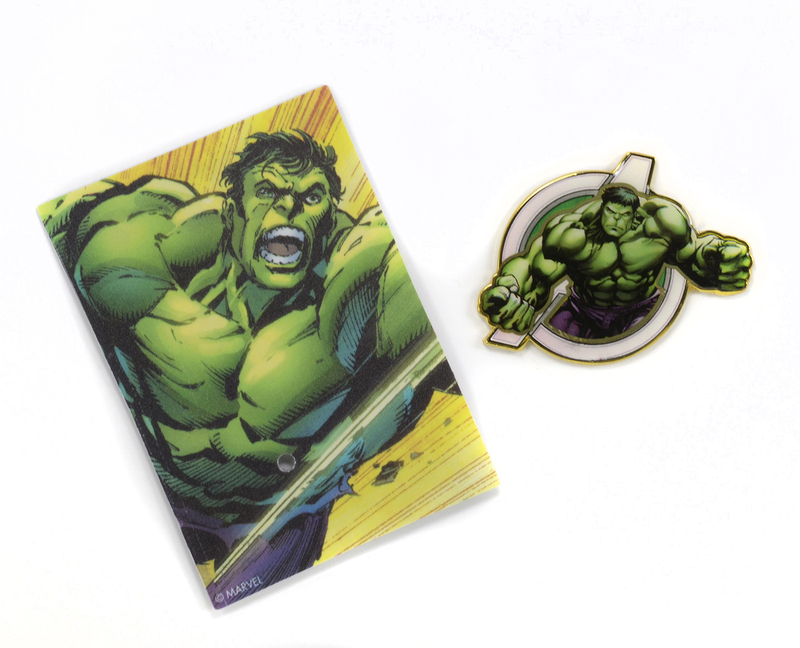 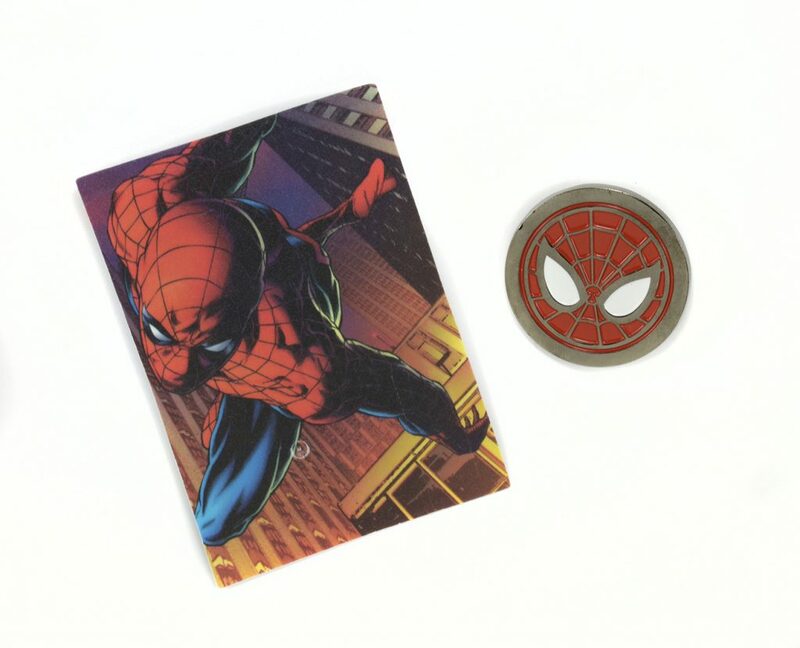 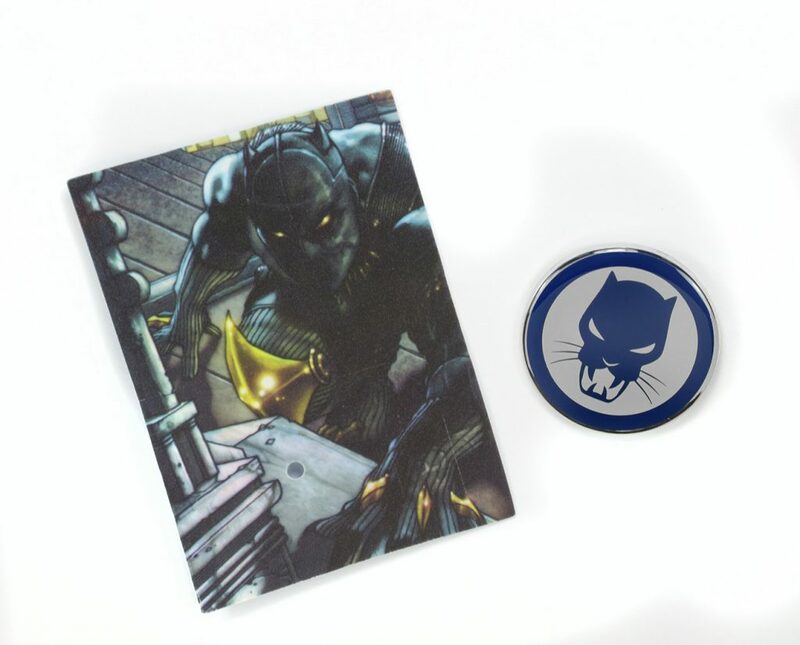 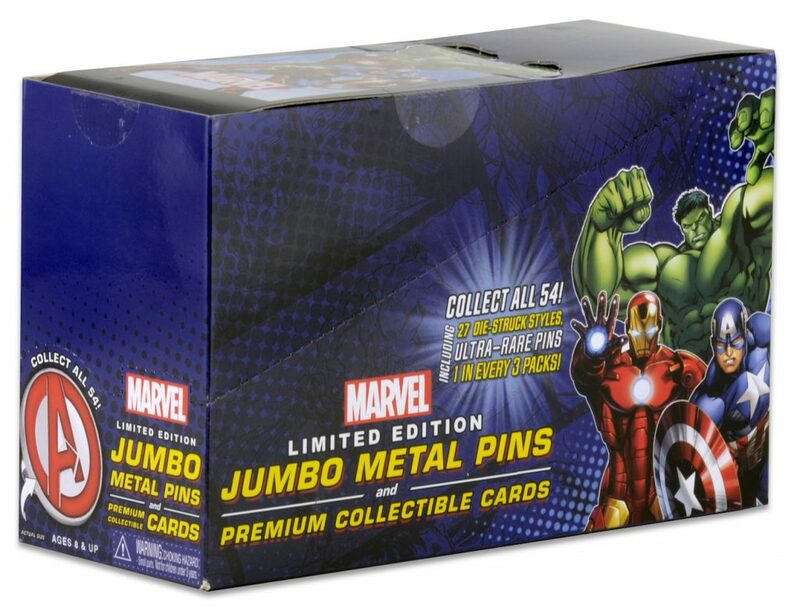 Each blind box includes one jumbo metal pin and one full-color, double-sided, premium collectible card for a character (or team) from the Marvel comic book universe. 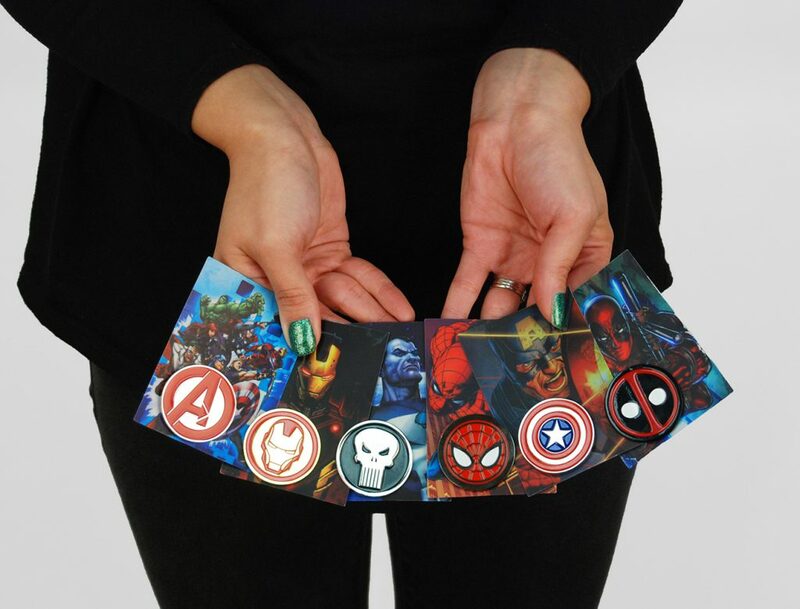 There are 27 fan-favorite characters in all, like Spider-Man, Captain America, Hulk, Doctor Strange, Iron Fist and many more. 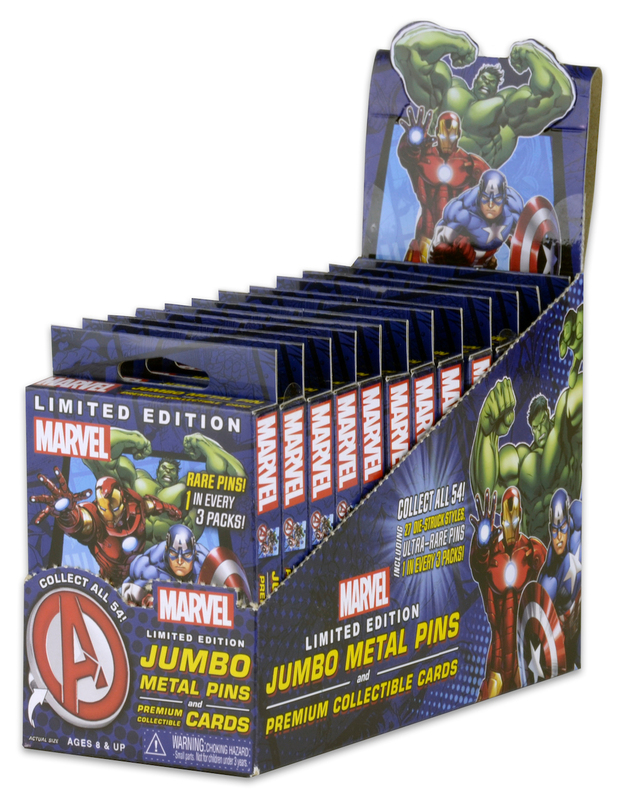 Pins measure approximately 1.5 inches. 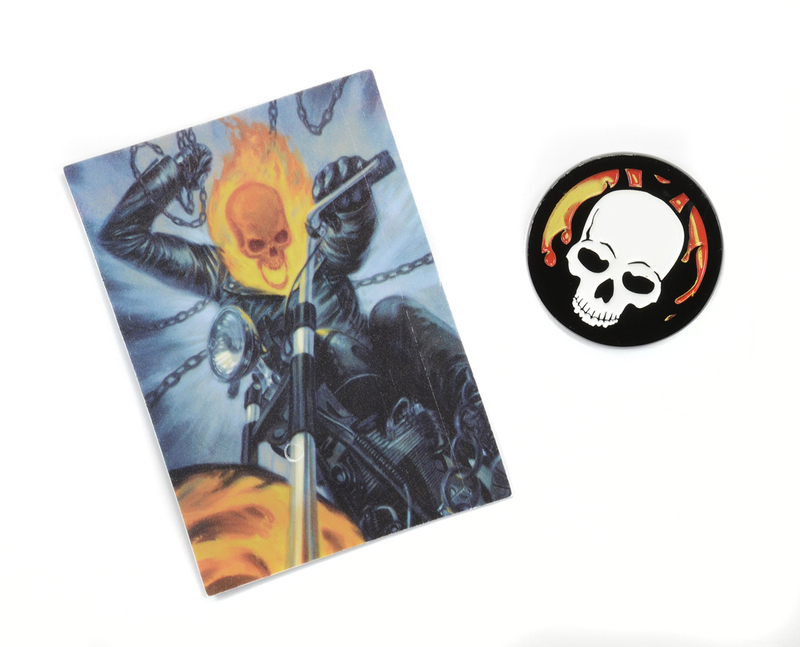 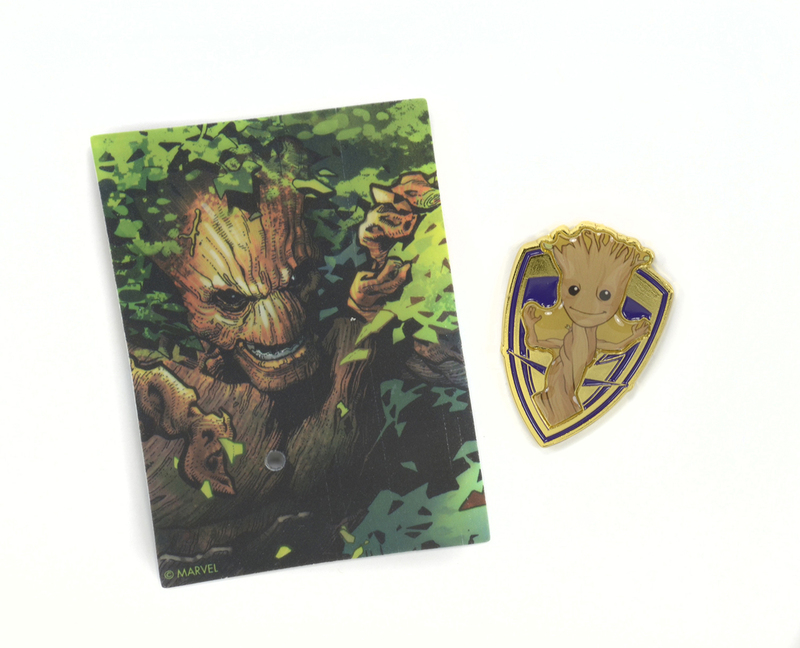 Some packs will contain a rare variant, such as an embossed pin, or a die-cut pin with special “comic book cover” card! 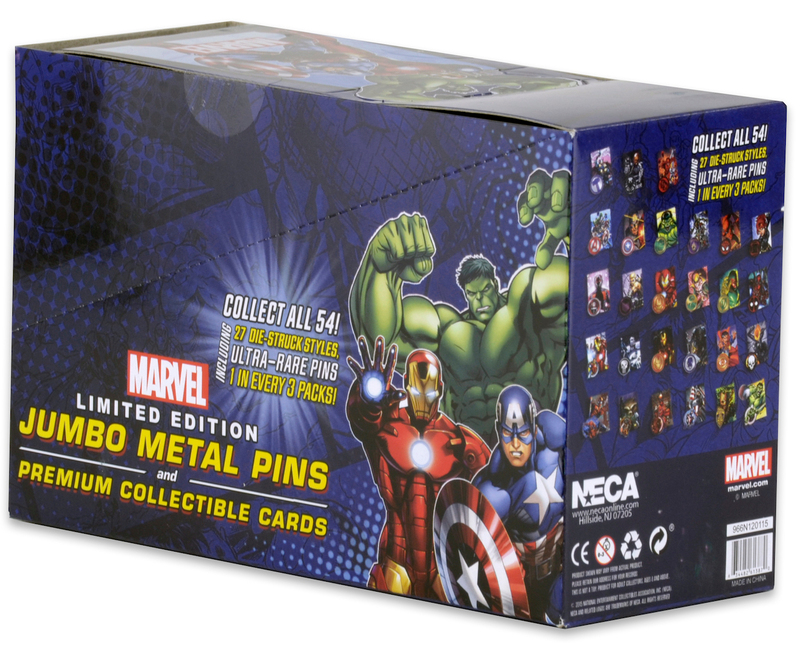 Each display unit contains 12 blind boxed pins.